The below data sets can all be used to help build a help develop a clearer image of need around Cambridgeshire’s Child and Family Centres. Cambridgeshire County Council use these key data sets to evaluate need around Children and Family Centres to ensure that services are being delivered to the right people and in the right places. The datasets below are represented at different geographies based on the nature of the data. You can also use our Customer Area Report application that will allow you to received a cross-theme area report based on a bespoke area linked to the chosen Children and Family Centre. Local health data is available by the Fingertips, provided by Public Health England. Fingertips is a rich source of indicators across a range of health and wellbeing themes designed to support commissioning to improve health and wellbeing, and reduce inequalities. You can find analaysis of many of the below datasets within our document library. For more information on the Child and Family Centre offer across Cambridgeshire, please click here. 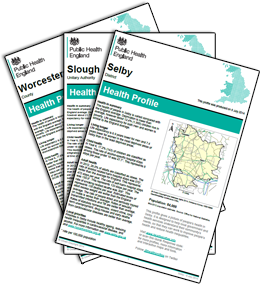 The Public Health England Health Profiles provide a snapshot overview of health for each local authority in England. They are conversation starters, highlighting issues that can affect health in each locality. The Interactive Fingertips profiles compiled by Public Health England help you to discover key datasets related to understanding need at different geographies. The links below highlight the range of datasets available via the Fingertips tool.